Ever wondered why your baby needs to teeth? After when a baby is born, it is around 4-8 month of age a baby’s first teeth nudge out from babies gum, usually called it as ‘Milk teeth’. For some babies can get through teething period of time with no discomfort at all while others are there can be a lot of pain. At this time, parenting becomes more watchful and so preventing them from harmful things in and around baby’s surroundings. Baby’s who are at the stage of milk teeth who suffers a lot in pain, and to remedy to it is a teether. It should free from toxic painted substances, because babies are very delicate by nature and so a serious amount of care should be given to look after baby’s health. 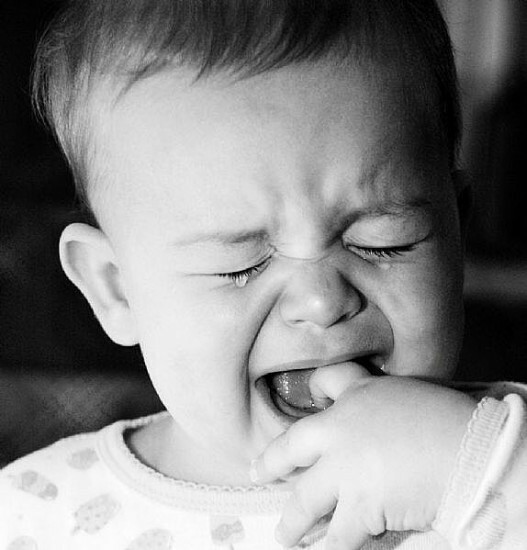 Teething period may be accompanied by a slight fever or an upset stomach. Since, health issues are very sensitive in that stage, parents shouldn’t be in ignorance when it comes to selecting a proper teether for babies. Nowadays, many company brands sells teether for babies and apart from all these teether products issue, care should be given for analyzing of making teether products which are trustable for babies to use. Those tooth developing stages for a baby’s life can’t risked at any cost. More importantly, sufferings in teething developing stages should be averted through a clean study over teether toys materials. Those soft tooth emerging stage are important and a teether toys are a better replacement for baby’s pain. A frozen chew-toy will suit more for a paining tooth. Babies often favor the use of plastic toys nowadays. This is witnessed when babies are given with both natural and plastic toys. At this ‘Milk teeth’ stage, on the other hand babies mostly prefer fingers to chew. Since babies are found a lot of time with their fingers and secondly with their plastic toys. It is a Parent’s duty to provide an ultimate solution for babies. Since parents gives great care over babies and so parenting can’t be blamed. It is also a responsibility for the teether making companies to provide its products free of toxic things at each of its wide range of collections. And these days, tons of awesome teethers, rattles and other toys for babies made of cotton, wool, bamboo, wood and other natural materials are filled out in markets as a solution to toxic products issues by the teether producing companies worldwide. A medicinal advice for helping teething problem is gently rubbing over the affected gum with clean finger will ease the baby’s pain. Researchers also noted that many children find that biting on a clean and cool object is soothing for babies teeth i.e. biting a chilled teething ring or any freeze-able teething toys. Chewing on a chilled fruit or vegetables may help babies to feel some pain relief for a while. Some parents would prefer teething biscuits and even teething rusks should be avoided because it contains sugar. If child is in pain try giving paracetamol may help. It is recommended to use respective dosages for baby’s age with some physician’s prescriptions.